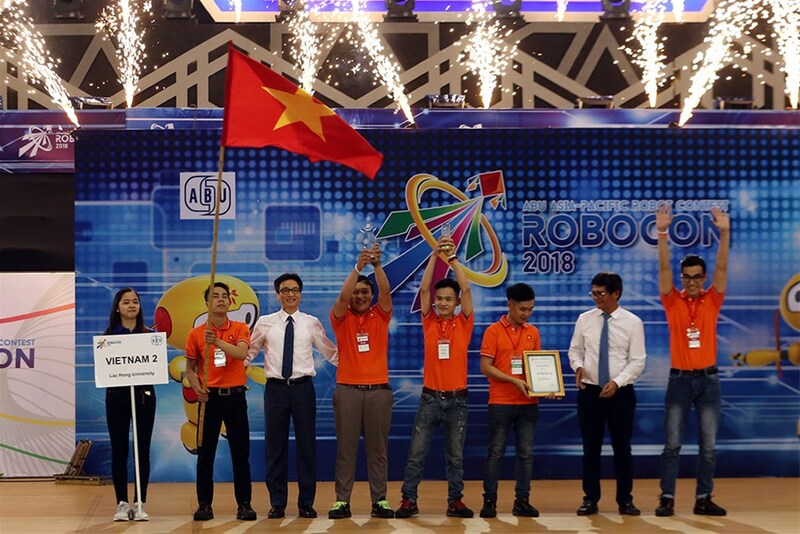 Recently, LHU's champion of 2018 ABU Asia Pacific Robot Contest was honored to receive the First Class Labor Medal for the second time at the ceremony to present noble awards of the Party and the State and to mark the 320th founding anniversary of Bien Hoa-Dong Nai land which was held on December 28 at the provincial Convention Center. Speaking at the ceremony, Mr. Dinh Quoc Thai - Deputy Secretary of the Provincial Party Committee - Chairman of the Provincial People's Committee - Chairman of the Emulation and Reward Council commended and recognized outstanding achievements made by collectives and individuals. He stressed that it was very difficult to achieve achievements recognized by the Party and the State as today, but maintaining and promoting the above achievements were more difficult. Previously in 2017, on the occasion of the 20th anniversary of the University's establishment (1997-2017), LHU was honored to receive the First Class Labor Medal awarded by the President. At the end of 2018, LHU continued to receive the First Class Labor Medal. LHU so far has won 8 championships at the National Robot Contest, 3 First prizes, 3 Second prizes and 2 Third prizes at ABU Asia Pacific Robot Contest. 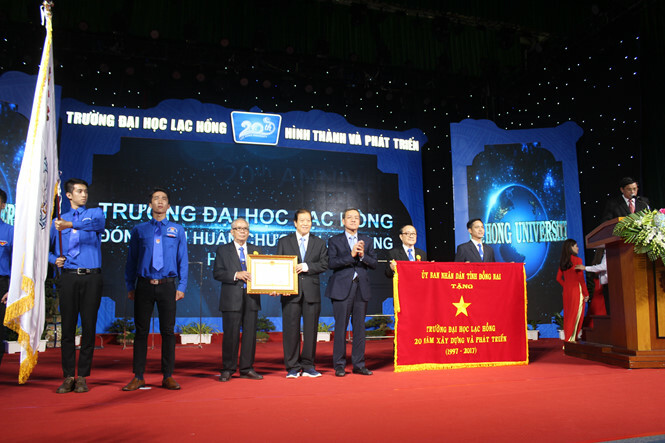 Also at the ceremony to present noble awards of the Party and the State and mark the 320 years of Bien Hoa-Dong Nai foundation and development, LHU was honored to receive the Excellent Emulation Flag by the Prime Minister. At the age of 21, LHU was honored to receive two First-class Labor Medals, two Second-class Labor Medals, six Third-class Labor Medals and six Excellent Emulation Flags awarded by the Prime Minister. LHU constantly continues to improve the quality of human resources training, promoting scientific research and sticking to the reality of the 4th Industrial Revolution, strengthening cooperation with enterprises, especially modern technology transfer, determining to become a dynamic, modern and high-quality university.